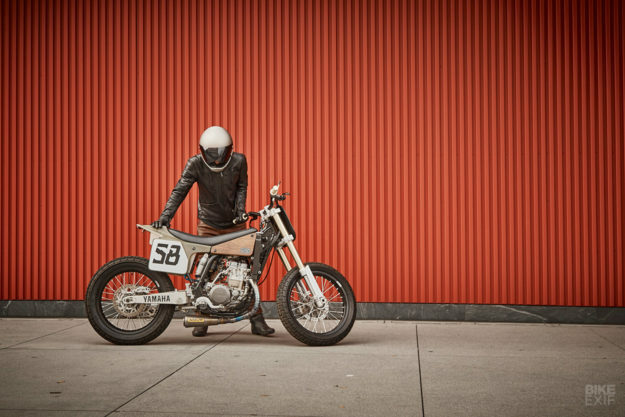 Custom bike builders often find inspiration from unlikely places. 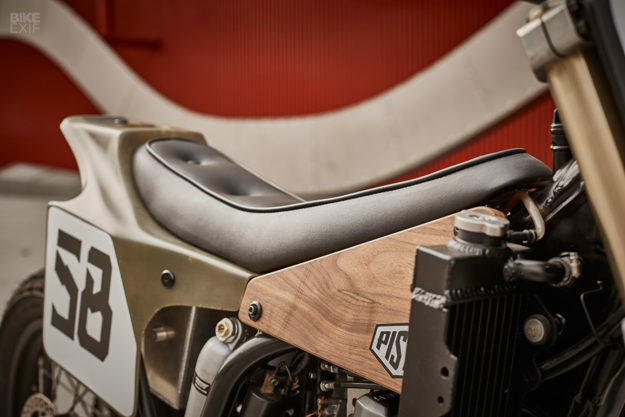 And furniture designers seem to have a particular affinity for motorcycles—Stefano Venier being the most high profile. 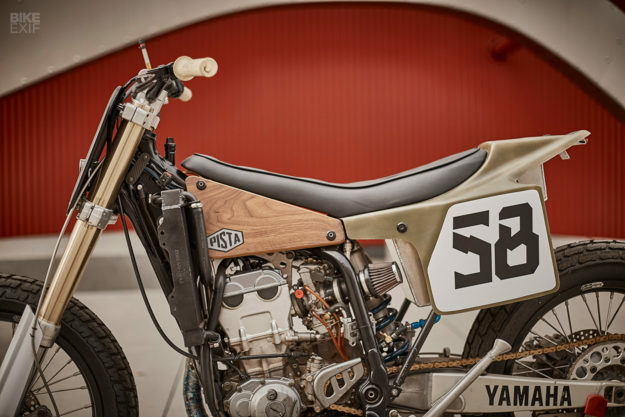 But this elegant Yamaha WR400F is the first build we’ve seen that’s directly inspired by an iconic furniture design. 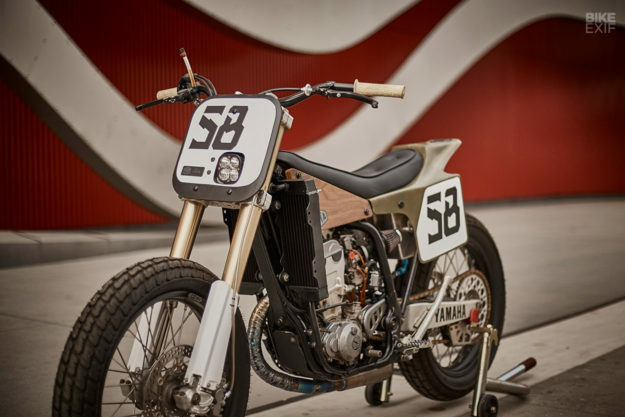 It’s from Pista Design of California, and takes its cues from the 1956 Eames Lounge Chair. 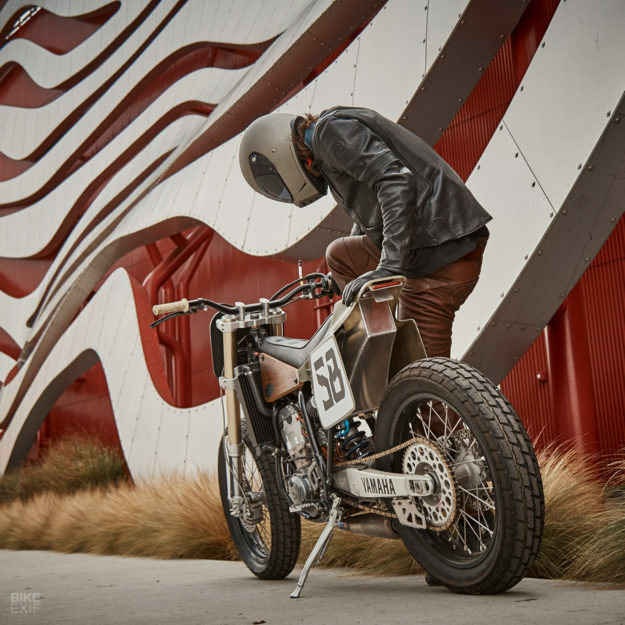 Pista is the brand of three friends, united by a love of music and motorycles: transportation designer Lindsay Ross, race team fabricator Alex Kors and classic car aficionado Robbie Pyle. 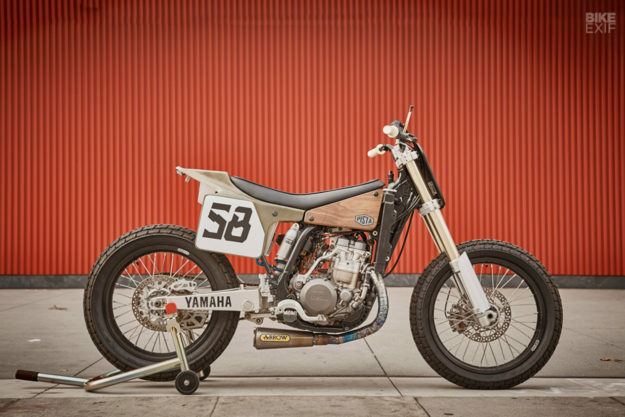 Not too old though: the ‘Case Study Tracker’ is a WR400F that left the Yamaha factory in 2000, and then spent its life as an adventure bike exploring the deserts of the Southwest. 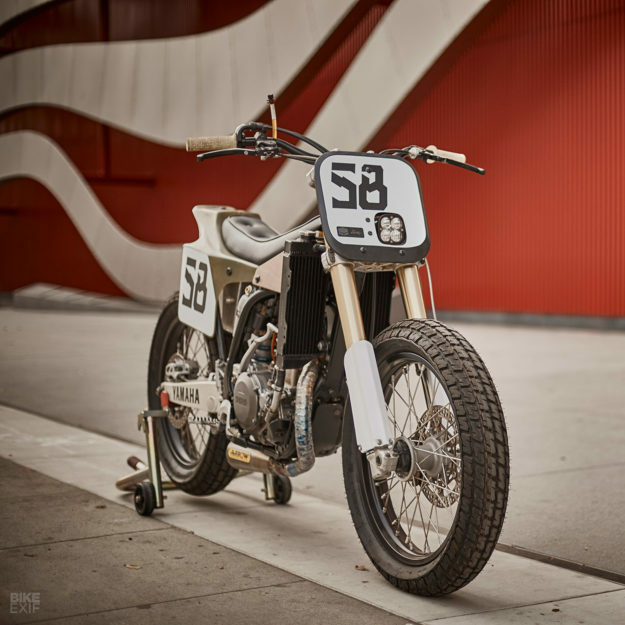 Most importantly, the WR400F is street-legal in California. It’s more or less a ‘Wide Ratio’ version of the YZ400F, so it’s a lot lighter and more nimble than a typical street enduro/SM, such as a DRZ. To crank up the performance even more, the Pista crew have installed Stage 2 YZ racing cams from Hot Cams, re-jetting and tuning the Keihin FCR carb to match. 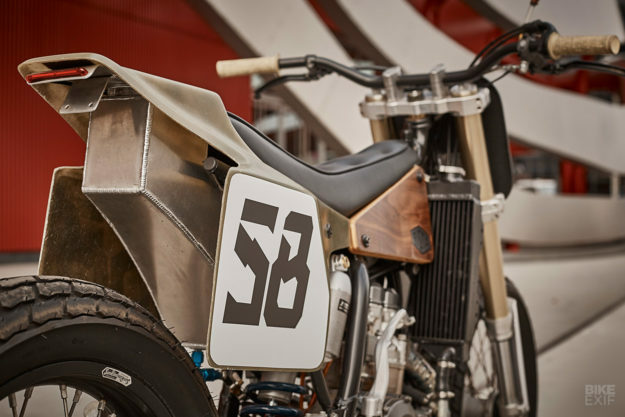 They’ve also slotted in newer generation Yamaha YZ450F forks, and a longer swingarm from the same bike. Braking is stepped up with a Brembo RCS16 master cylinder. 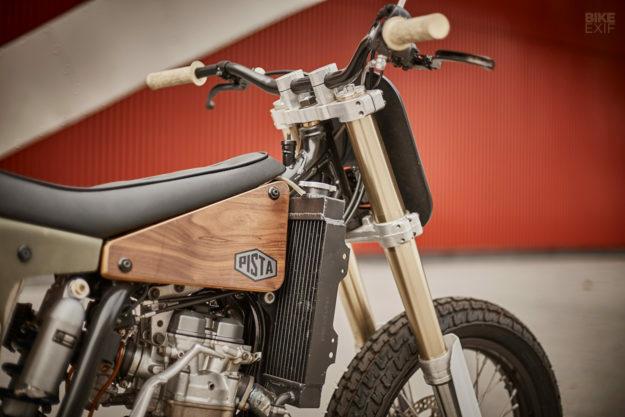 Those are pretty logical mods, but then Pista decided to get experimental: they threw convention out the window and looked towards MotoGP architecture. The suspension has been totally overhauled by the race specialist Traxxion Dynamics. 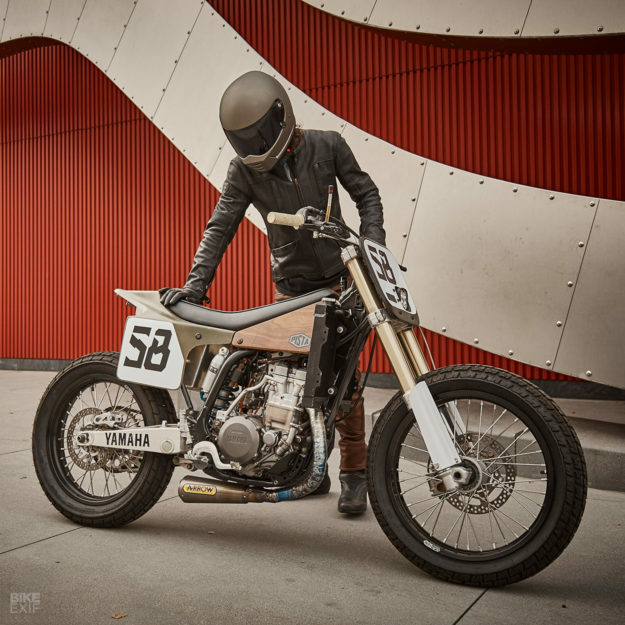 There’s a titanium Arrow exhaust muffler, hooked up to a pipe zapped together with laser pie-cut pieces from Ticon Industries. 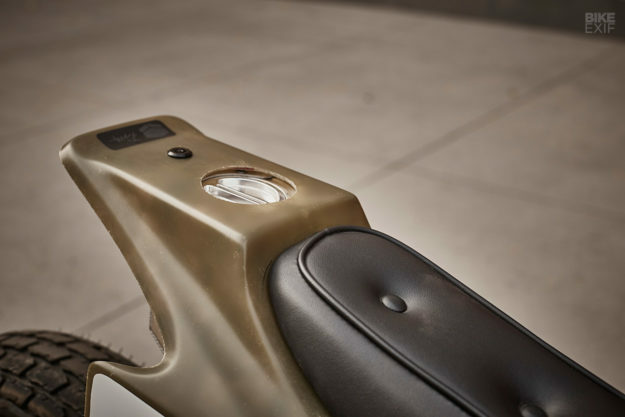 And the fuel tank is now a bespoke aluminum unit hiding closer to the center of gravity, under the seat and tail. Instead of anodizing the aluminum, they’ve simply brushed it. Instead of using carbon fiber for trim panels, they’ve used plywood and veneer. And rather than paint the fiberglass, Pista have tinted the resin. It’s worth noting that if you want to buy an Eames Chair—the real deal, rather than the multitude of knockoffs—it’ll cost you $5,000 or more. For the same money, you can get a secondhand Yamaha WR450F in good nick and just a couple of years old. 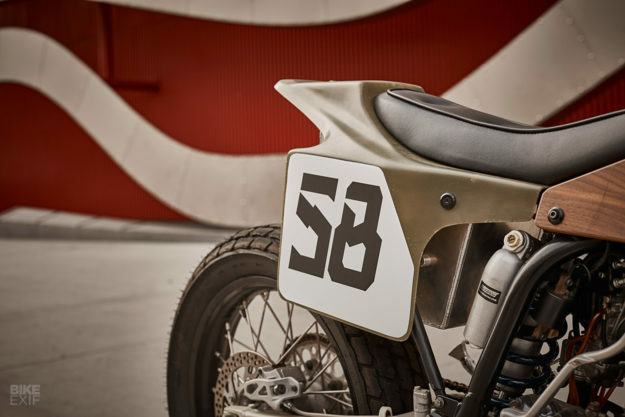 Although we’re big Mid-Century Modern fans, we’d rather be sitting on the Pista tracker than an Eames chair. It probably isn’t quite as comfortable, but we bet it’s a helluva lot more fun.